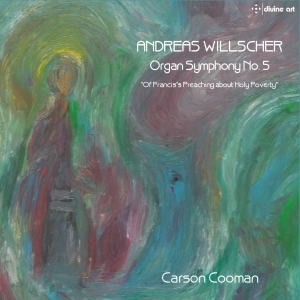 Carson Cooman has performed and recorded many pieces by German composer Andreas Willscher (b. 1955). Willscher studied composition, theory, and organ in his native Hamburg. In 1971 he was appointed organist of the St. Francis Church in Hamburg and in 2000 at the church of St. Joseph-Wandsbek. In addition, he has been keyboardist for several jazz and rock ensembles. Willscher has received many awards and commissions for his compositions, which range widely in form: from symphonic music and oratorios to cabaret and rock scores. His organ works are very diverse, ranging from large-scale post-tonal pieces to some that blend elements of the traditional repertoire with contemporary jazz and pop influences. In addition to his own composition and performing activities, Willscher has published a number of literary and scientific articles in journals and encyclopedias and has been very active in collecting and preserving lost and forgotten music from earlier eras. 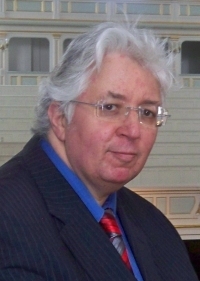 In 1995, Willscher was awarded the Sudetendeutscher Culture Prize for Music and in 2012 the Ansgar Medal from the Archdiocese of Hamburg for services to church music. In 2015, in honor of his 60th birthday and life’s work as a musician, he received the Johann Wenzel Stamitz Prize from the Arts Guild of Esslingen. In addition to the music recorded on CD, Carson has recorded numerous pieces by Willscher that can be listened to online at Contrebombarde Concert Hall (online listening stream links), or YouTube (full playlist), or downloaded as MP3 files.